it's so important that we all make a living but we need not get too busy and run far off only to get to our destination to discover we did not design and build a life. We need to choose daily if we are living by default or by design. Choosing to advance from a point of intentional living should always be our goal. This brings a whole new level of clarity and it is the best form of living. It is from it we can give freely of our very best self while acting from our areas of strength. This is what separates us from the wandering crowd without losing our unique ingenuity. It is what determines whether we get lost in the noise or become a vibrant and resounding voice of positive change. 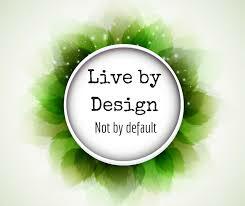 We need to consciously always live by design. Have you ever felt like flipping a switch that takes away all your money worries? Have you ever wished you knew how to make money non-stop no matter where you are? What if you could make so much money to live the life of your dreams, have both money and time freedom to enjoy with your loved ones? What if you could learn practical ways to make yourself rich many times over legally? Imagine having your own money printing machine at home, printing cool clean cash for you each time you press the button, this is the exact image of what will happen when you learn the money mastery secrets in this fresh and sizzling 3-day hot course on WhatsApp . This 3 day Money Mastery seminar for a group of 30 people who are ready to end their money worries and learn to make their own money printing machine..
-7 Personal finance resources on your financial freedom and life's journey. 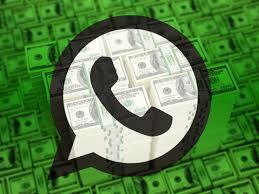 - 7 fast paying skills that will make you richer today. Class starts on WhatsApp on Friday 10th Febraury, 2017.This is for a small fee. In order not to shut anyone out of this Class Admission is for N3000 only . You can get in now as the price will be increased later. Please message me on +2347033875827 to make payment and be added to class. PS. Registration will soon be placed on hold so I can kick off with those who have registered. Once again fee is #3000(Nigerian Naira)! for the first 30 people to join the WhatsApp class, afterwards the fee will be increased,you can message me now on +2347033875827 to be added to the class.